And now we'll begin wrapping up "Megane no Incubus-kun". Not much to say here other than it's typical high school romantic shoujo. Having read the final chapter (chapter 3), I'd say this series is better than I expected. I really like Nijouin. The girl, whats-her-face, is just there, but Nijouin gets much love. 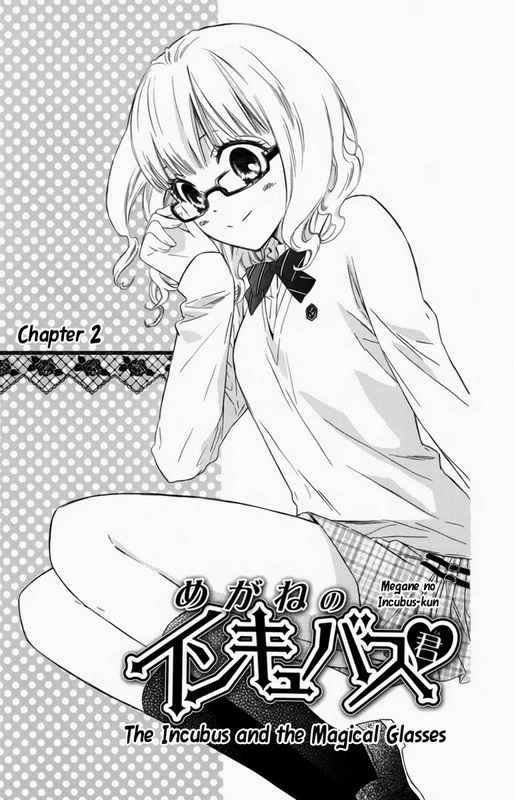 Next up will be the final chapter of "Megane no Incubus-kun"! Hopefully we'll get that out tomorrow or Monday. After that, don't expect any romantic high school shoujo from us until it's horror, psychological, supernatural (more so than this), sci-fi, or gag/satire .